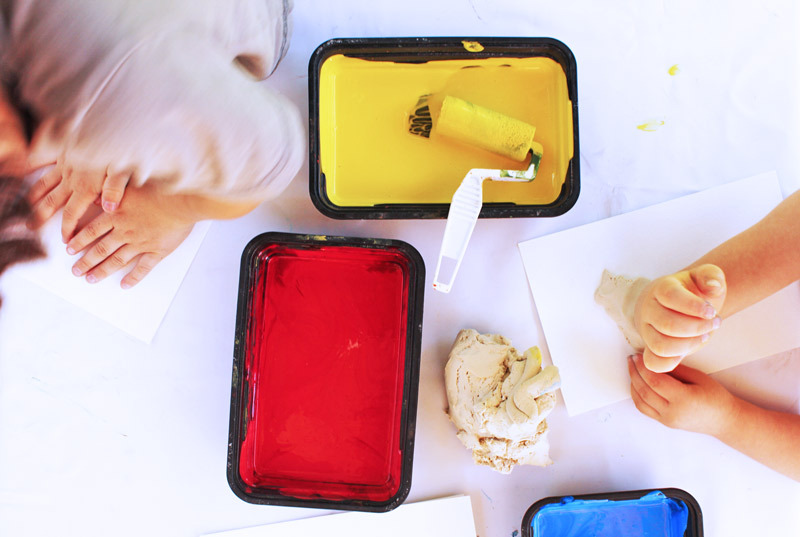 We’re back with the second installment of easy art projects for kids! This week’s theme is resist art and since it’s clay month on Babble Dabble Do I decided to combine these two themes and make Clay Resist Art! 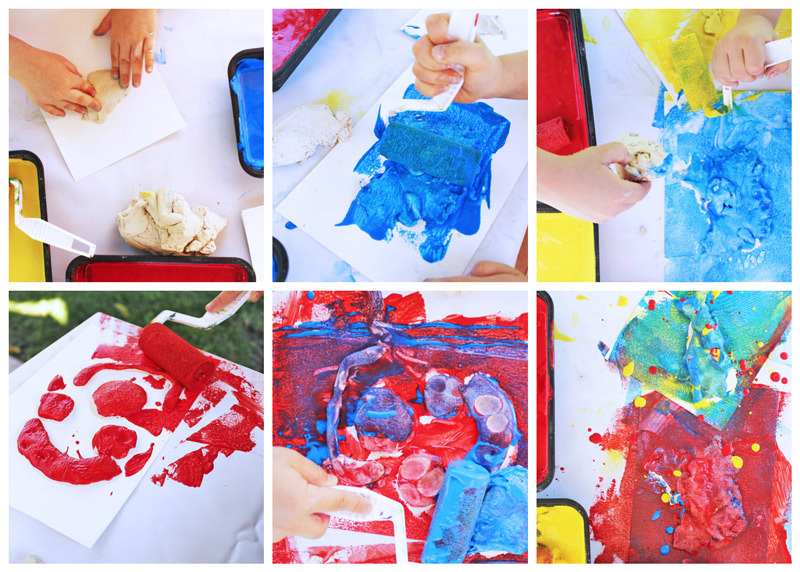 It’s a nice combination of sensory play and art all in one simple project. What is Resist Art? Resist techniques use layers of different materials, the first of which “resists” subsequent layers to create collage and texture. The classic resist art project for kids uses crayons and watercolor. 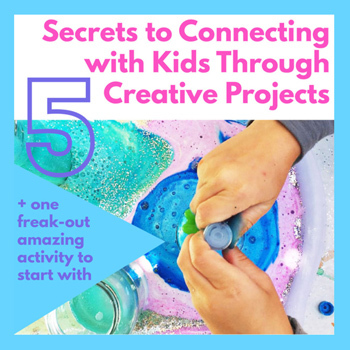 For more ideas on just what resist art can include, check out the ideas from my fellow Easy Art for Kids series bloggers at the end of this post! Step One Pour out your paint into containers and place clay in center of a table. Step Two Take small mounds of clay and begin pressing them onto the watercolor paper. 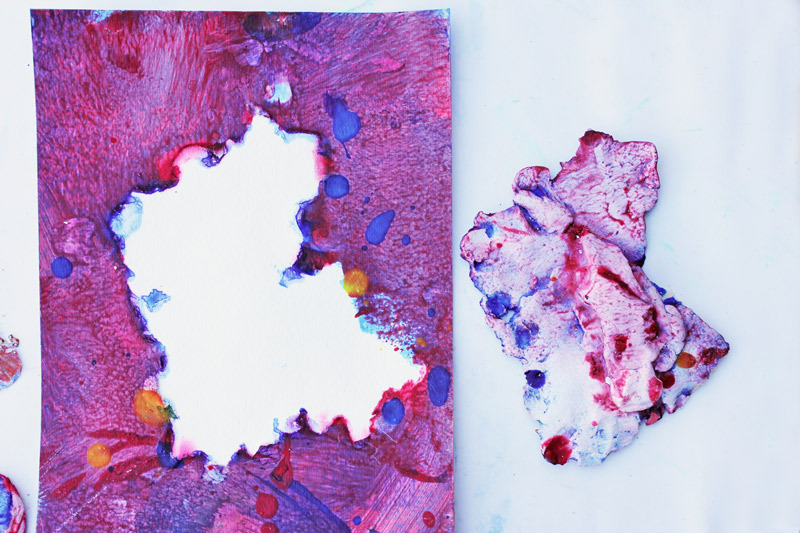 They can be formed into shapes and pressed down or smooshed and spread around the paper. Step Three Once the first layer of clay is down, add a layer of paint by rolling over the entire paper and clay. Step Four Add another layer of clay on top of the paint. 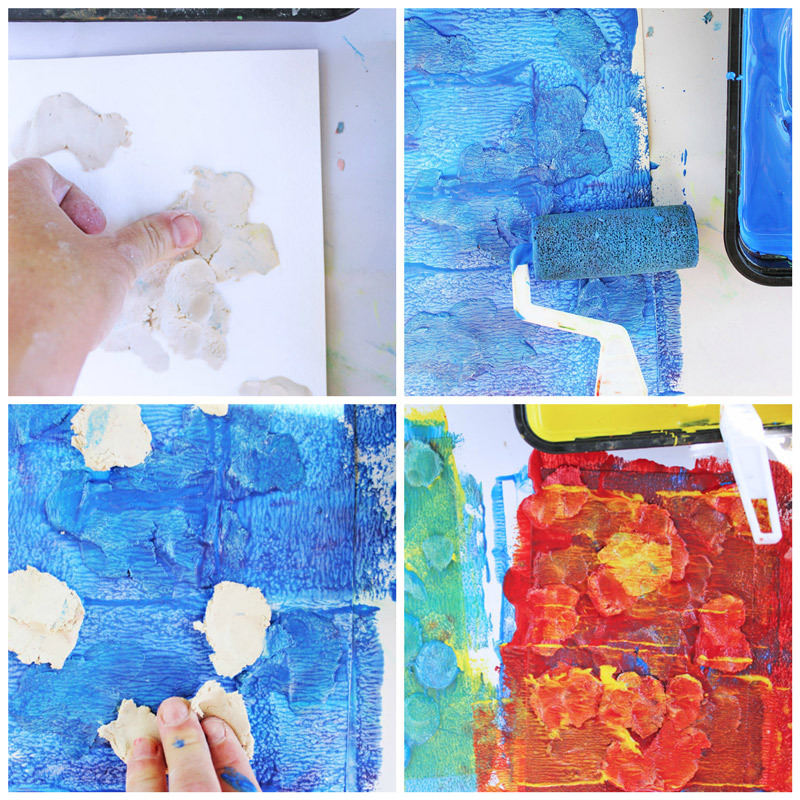 For the best results add clay onto the painted paper rather than on top of the painted clay. The clay will eventually be flaked off, so for multicolor works you want to make sure you are covering the painted paper. Step Six Repeat the clay and paint process a third time if desired. Step Eight Once the clay is dry, it should easily flake off the paper. Very thin layers can be gently scraped off with a butter knife. Depending on the clay we used and the amount of water in the rollers we got different results with our clay resist paintings. 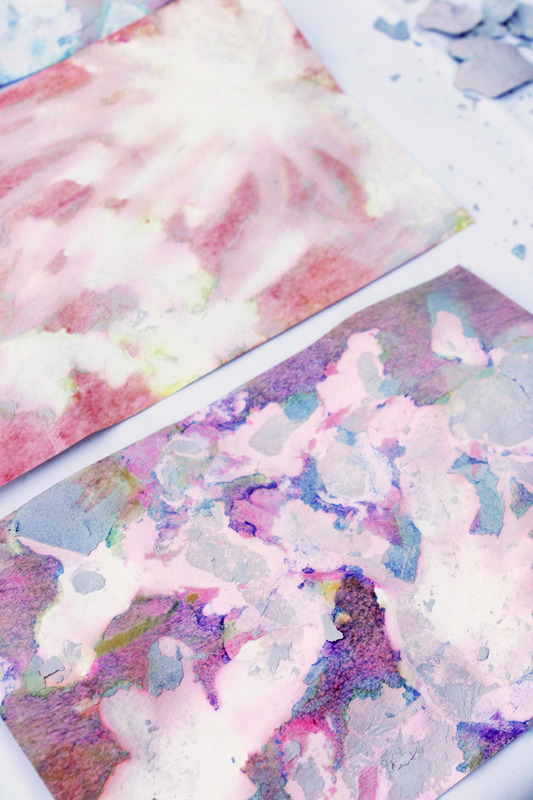 The more watery the rollers and paint, the more the paper absorbed the color even underneath the clay. This made for some nice looking faded effects. The versions we did with thick paint and dry rollers had a much more resistive effect. Use inexpensive clay! The clay will be removed and tossed afterwards so I suggest using inexpensive air-dry clay like this one from Crayola or this type, available online and at most fine art stiores for CHEAP! Use recycled food trays for paint containers. I save plastic containers and meat trays for projects just like this. Buy your rollers at the hardware store! 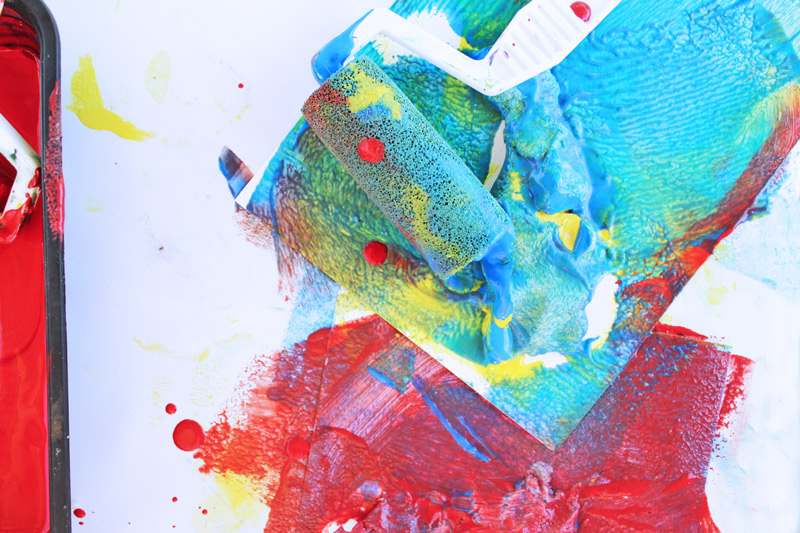 I love using rollers for kid’s art because they lay down paint quickly and thickly and keep short attention spans in check. Anselm Kiefer. Anselm Kiefer is a German artist known for his textural paintings. He often incorporates different materials into his paintings such as glass, plants, and clay. While we removed the clay from our project, the idea of incorporating three dimensional materials into a painting reminded me of Kiefer’s techniques. His work is quite solemn and laden with controversial themes and not always suitable for young children. Still his inclusion of collaged materials is fascinating, here is a link to a few paintings you can share with kids: Anslem Kiefer at the Gagosian Gallery. 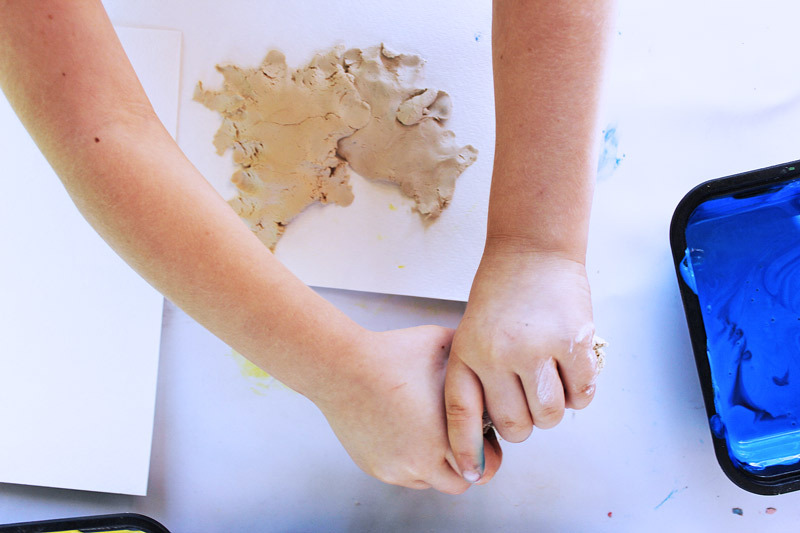 I really loved clay resist because it was appealing as a sensory activity as well as an easy art project. 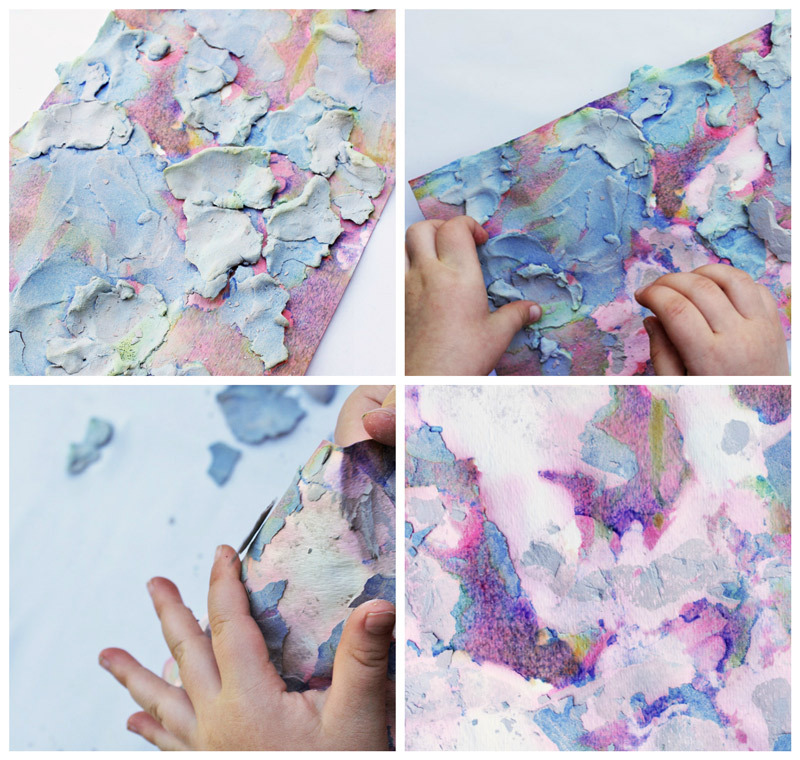 My kids enjoyed smooshing the clay into the paper and then applying paint in layers. And removing the clay to find the picture underneath is a bonus part of the fun! Even my baby was intrigued…here he is sneaking in on the action. Ready for more resist techniques? 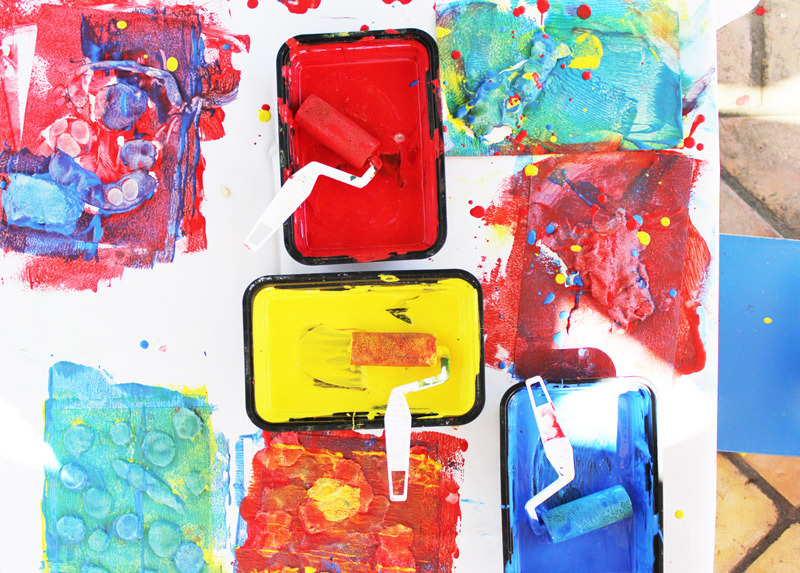 Check out these other easy art projects for kids by my fellow art series bloggers! 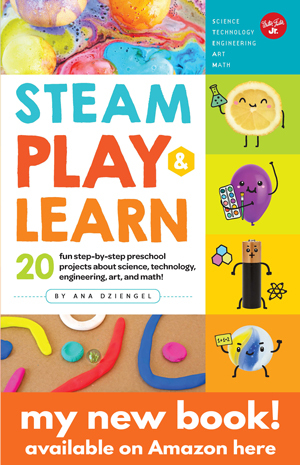 And if you are not already following the Rockin’ Art For Kids Pinterest Board you should be! So cool Ana!! I was so curious how you were going to do this. I just love it. Looks like a great tactile experience my kids would love. Awesome! It was a lot of fun Meri! These are so gorgeous! I love all the layers. What a great idea! This looks fabulous too. Your blog is one of my faves. So artsy and fun and so creative! Aw Melissa, you are super sweet! You know I love the Chocolate Muffin Tree! You are very inspiring!!! Ana, this so fascinating! I can really imagine kids having so much fun with it! What a creative and original idea! This is so AWESOME! Great job Ana! 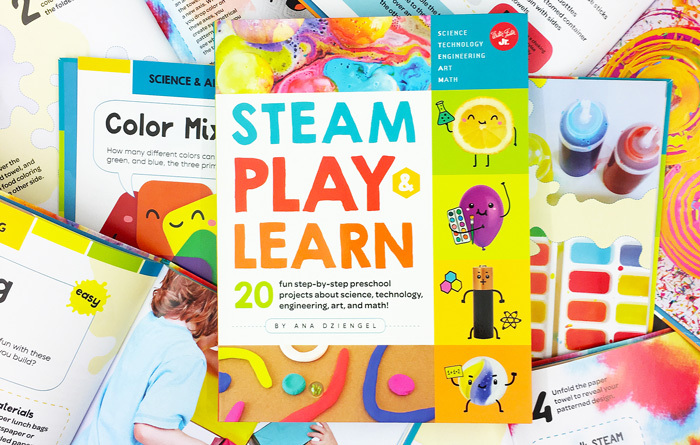 My kiddos would be all over this! AMAZING! & now on tomorrows roster 🙂 No ones feeling well & i find a good sensory art experience for all of us together, really comforts the soul. Plus, its an easy set up cuz we have all necessities! Thanks again for soo much inspiration. You are welcome Mama! 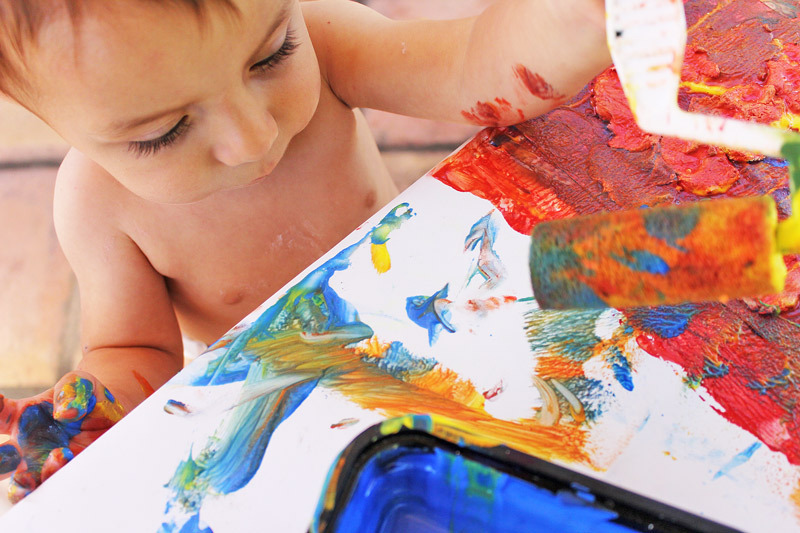 Post a pic of some of your childrens’ finished pieces on our FB page! 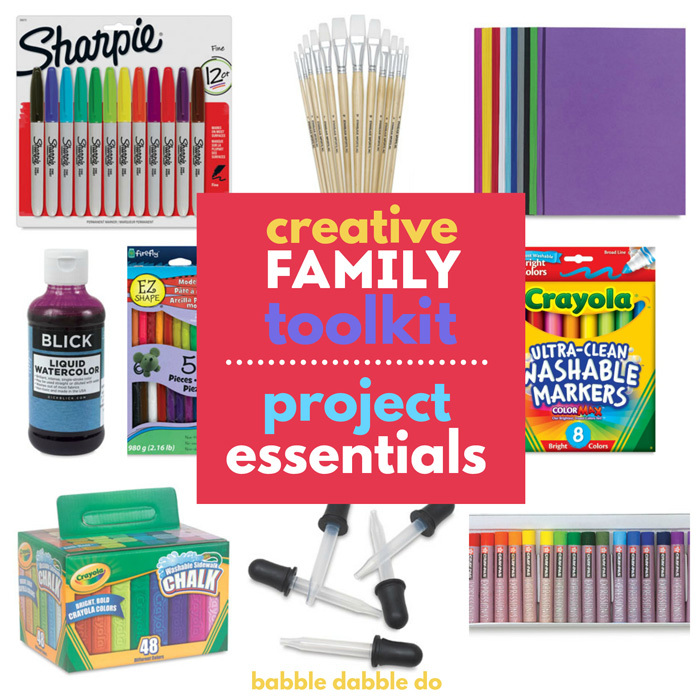 Cassi recently posted…12 Crafts & Activities To Celebrate Earth Day! So happy you liked it Cassi! I love being a part of the Crafty Crow! Thank you so much!!! !